Paul O'ConnellPaul O’Connell has been named captain of the Irish rugby team for this year’s RBS Six Nations Championship. With regular skipper Brian O’Driscoll recovering from shoulder surgery, Ireland coach Declan Kidney has turned to Munster lock O’Connell to fill the gap. It’s not his first time to hold this position as O’Connell, Current Munster captain has led his country before, against France in 2004, and also when Ireland played England during their World Cup warm-up series four months ago. He was also captain of the British and Irish Lions side in South Africa in 2009. 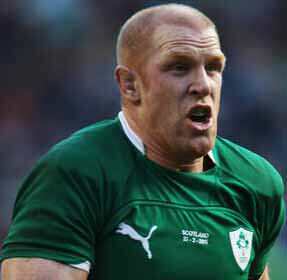 O’Connell will take the Ireland reins for their opening match against Wales in Dublin on February 5th. It’s ironic that Ireland’s first Six Nations game is a rematch of their recent World Cup quarter-final against Wales in Wellington, when O’Connell and company made a quarter-final exit. The Munster captain has played for Ireland on 82 occasions and said it was a huge honour for him to be asked by Kidney to take over the captain’s mantle. After Wales, Ireland travel to Paris to face France, followed by home games against Italy and Scotland before finishing the tournament against arch rivals England at Twickenham on March 17th.